The Le Mans 24 Hours was conceived at the 1922 Motor Show in the Grand Palais in Paris. The idea emerged from a meeting between Charles Faroux, a journalist from La Vie Automobile, Georges Durand, the ACO general secretary, some eminent members of the club, and Emille Coquille, the French representative of the Rudge-Whitworth detachable wheels company. 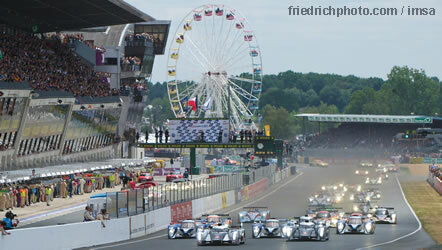 The first Le Mans 24 hours took place on 26-27 May 1923. As official agents for the ACO, we receive a good allocation of camping pitches for popular campsites such as Maison Blanche, Houx and Tertre Rouge, as well as organising and managing a private campsite at the circuit. We also offer a wide selection of grandstands both along the pit straight and around the circuit. We look forward to helping your group with their plans for 2019.